Each Crazy Weekend Project has a crazy goal they’re aiming for. The first was to get a perfect game in Pong. The second was to eliminate Wesley Crusher. For this one, it’s joining the Bucket Brigade. 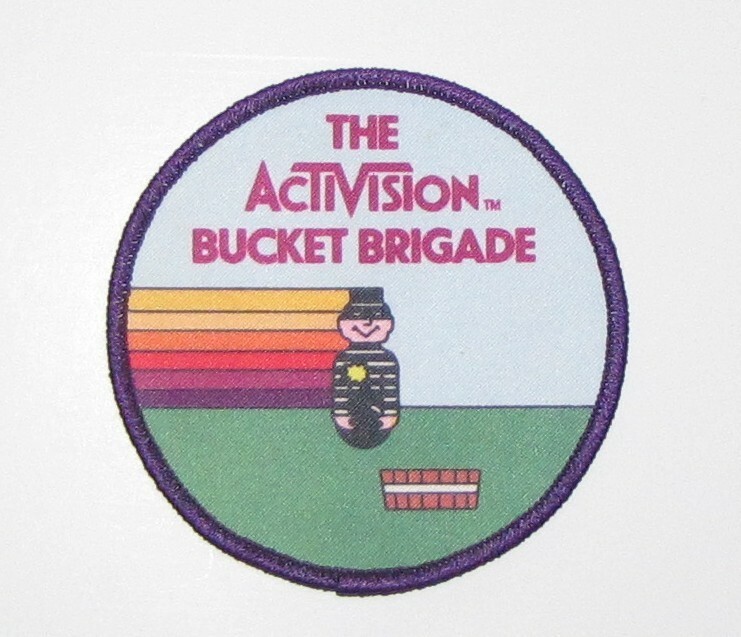 Part of what set Activision apart, aside from making awesome games, was that for pretty much every game, you could get a patch to prove that you’d obtained some high score. Just snap a picture of your score, mail it in, and a few weeks later, you’d get three inch trophy to commemorate your achievement for free. Some games had multiple patches for different difficulty levels. For Kaboom!, you could get the Activision Bucket Brigade patch for a score of 3000 or higher. To reach this level, you had to be good, but you didn’t have to be perfect. An ordinary player would be able to get this score, given enough practice. The spirit of these patches lives on in the XBox 360 and PS3. Games for those systems feature Achievements or Trophies which you get for doing something specific in the game. However, instead of having just one, games will typically have up to 50. And, unfortunately, they’re all electronic, so you can’t show them off.